The acquisition of sumarum and ROC has placed Zalaris firmly on the radar screen of international analysts and investors. Latest in Human Capital Insights for December 2018 published by the international investment bank Raymond James. Human Capital Insights provides investors and analysts with an overview of this part of Zalaris's market and also key figures for similar international companies. 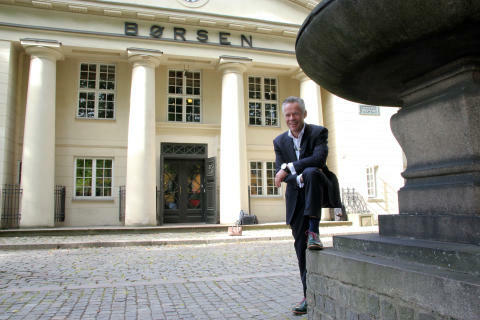 "There are not many companies like Zalaris on the Oslo Stock Exchange. Investors are therefore often required to seek relevant industry news, facts and figures through other international channels, and Human Capital Insights is one such source. It is great to be on Raymond James’ radar, both for us and our investors", says Zalaris CEO Hans-Petter Mellerud. The investment bank highlights HCM Outsourcing Services and HCM Transaction / Data Processing as the two segments with the best historical composite value. These areas are Zalaris’ core business and also where the growth is expected to be most prominent going forward. “HR tech is changing rapidly, but in the end it is all about people and change. HR must be able to deliver a compelling employee experience in order to ensure total workforce productivity. We are passionate and humble about our role in this as we support our customers and deliver value”, says Mellerud. For more information read Human Capital Insights here. Zalaris is certified as a SAP Business Process Outsourcing (BPO) Partner and a leading SAP Human Capital Management (HCM) and SuccessFactors consulting partner. Founded in 2000, Zalaris today operates in Norway, Denmark, Finland, Sweden, Estonia, Latvia, Lithuania, Poland, Germany/DACH, UK/Ireland, Spain and India using local-language service centers with extensive expertise in HR-related laws and regulations. The company’s cloud-based multi process HR outsourcing offering includes cloudHR / Talent management suite, full mobile access, employee data management/HR administration; payroll, including time and attendance, travel expense processing, pension administration, benefits administration, including sick leave and compensation administration, and HR analytics as a service. 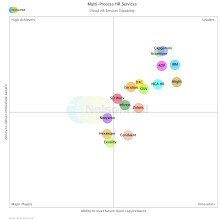 Industry leading analyst NelsonHall points out Zalaris as a leader in cloud HR services for multi HR process outsourcing (MHRPO). Zalaris' Q2/18 revenues reached NOK 189 million, a 49 per cent growth compared to Q2/17. Long-term revenues show clear trend: Zalaris nearly doubled in size. Extended BPO agreement signed with SAP for another 5 years. Zalaris continues to expand across Europe and beyond in 2018, as part of its ongoing quest to provide leading payroll and HR services for enterprises looking to further digitize and simplify their processes. Zalaris has signed a new contract with Archdiocese Freiburg in Q4/18, servicing approximately 30,000 payroll transactions per month using SAP Software. The contract is one out of nine new contracts and renewals in Germany throughout 2018, with a total value of NOK 103 million.